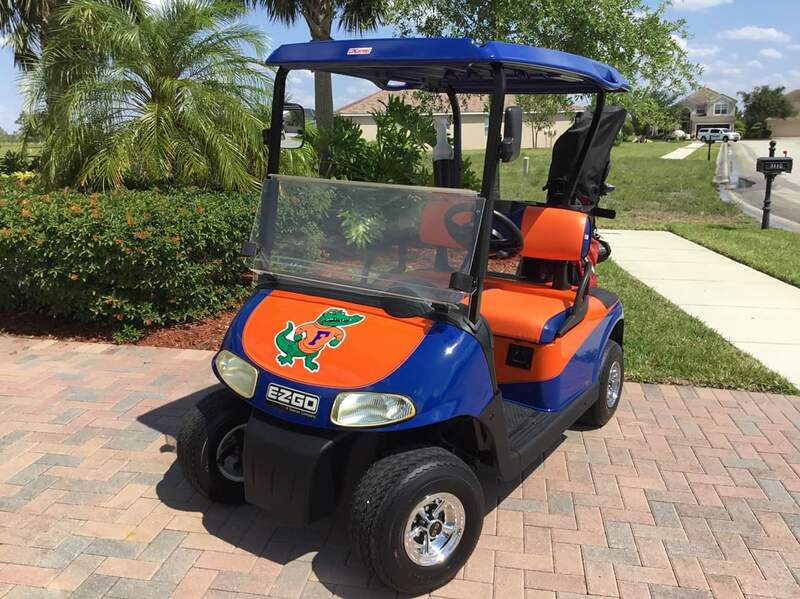 Golf & Electric Vehicles is proud to be SWFL number 1 dealer in custom golf carts. The Fort Myers location has a dedicated team of Mechanics, Assemblers and Painters with over 70 years combined experience between them in this department. We will build any size golf cart to your exact specification. This location has a state of the art paint booth with a custom painter that will bring your custom cart idea to life. Please schedule a consultation today. A Reconditioned Golf Cart is like getting a Brand New cart for 1/2 the price. Only handpicked Club Car Precedent or DS models are used for these unique golf carts. There are over 1500 color choices for these carts. These are designed for the consumer looking for quality, value and something beyond the standard golf cart. These are truly one of a kind golf carts. These carts are better than new at pre-owned pricing with custom paint and full 12 MONTH WARRANTY. Stop in the showroom or contact us today.